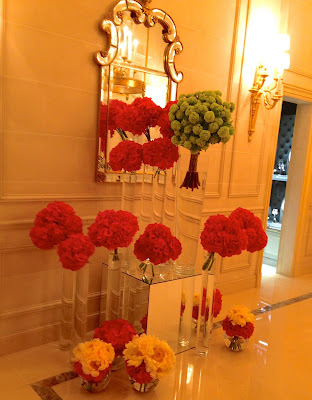 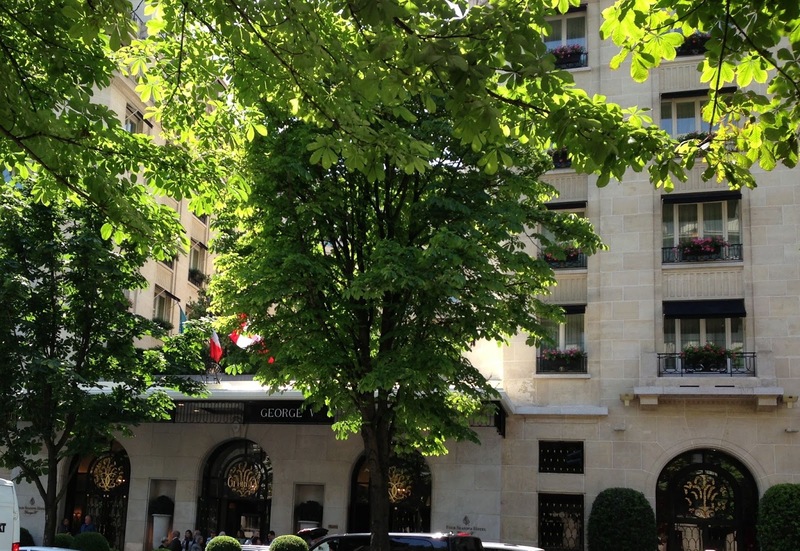 ReDesign Concepts Blog: Flowers at the Four Seasons...Paris! Flowers at the Four Seasons...Paris! Who doesn't love flowers? 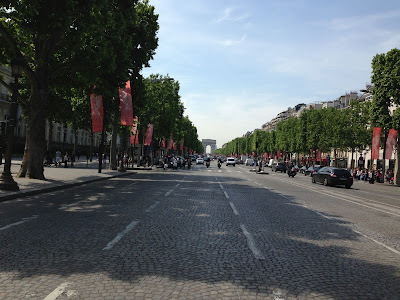 Certainly not Parisians! On a recent trip to Paris, I stumbled across the Four Seasons Hotel George V just off the famous Avenue des Champs-Elysees and discovered the most beautiful displays of gorgeous flowers...everywhere!! A stunning display of these colorful flowers in black and clear tall skinny glass vases with the mirrored backdrop made quite a statement in a corner of the lobby. 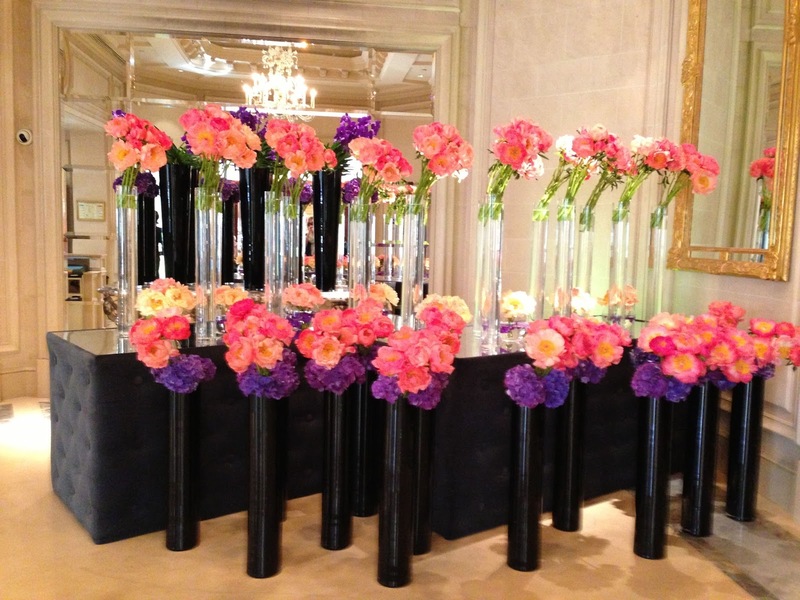 Groups of flowers in glass vases were everywhere! 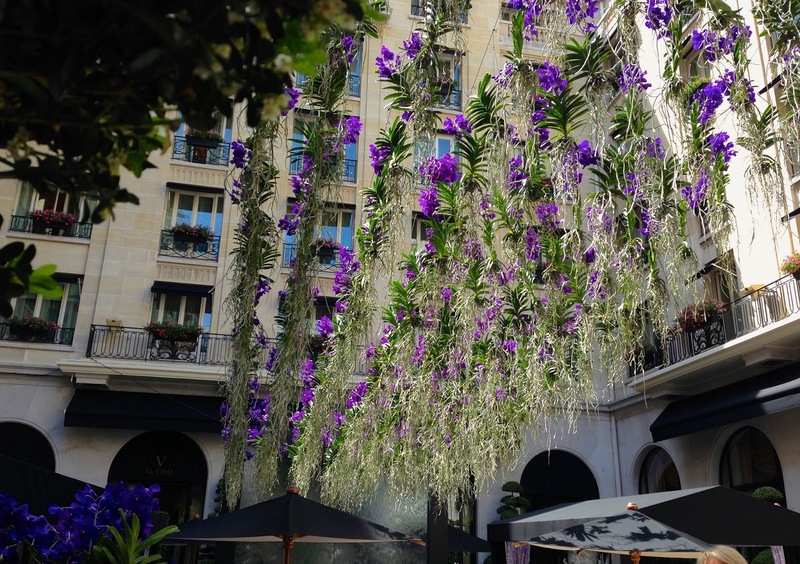 Just beyond the lobby was a marble courtyard where patrons could dine under strands of hanging orchids. What an amazing sight! They were hanging from hooks attached to a wire strung from one building to another. 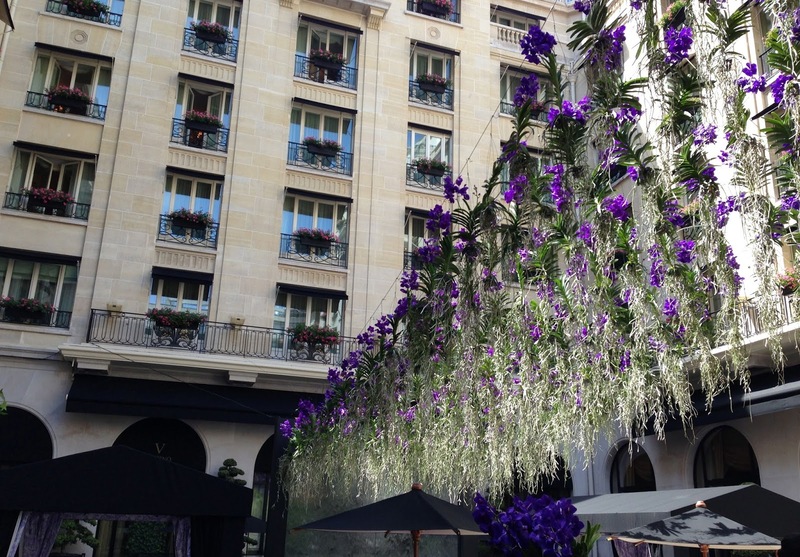 Now there's a great idea for your pergola! 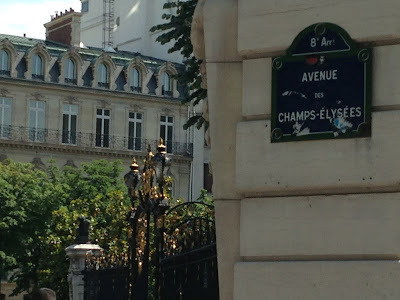 Oui?